Here is your ultimate guide to how to cut felt with the cricut Explore and the cricut Maker. 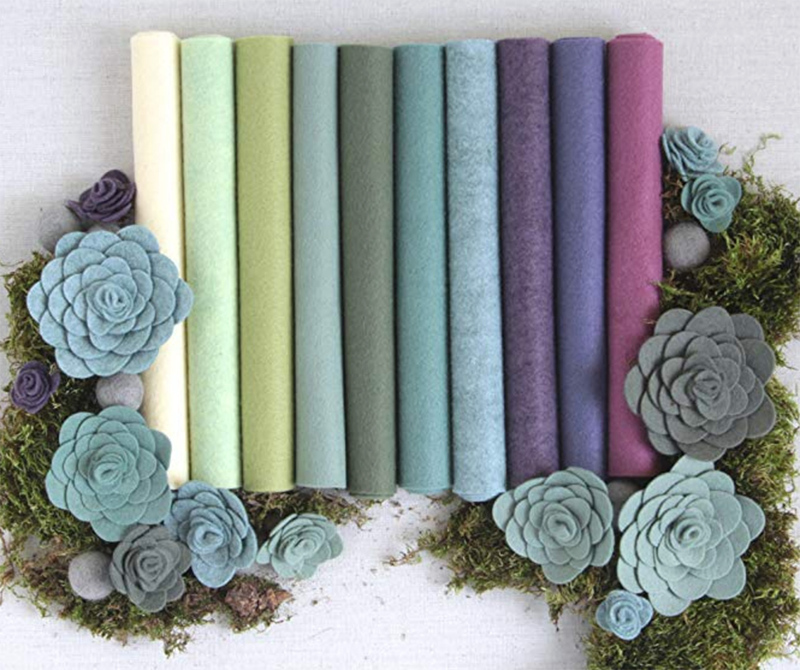 Have you been noticing all of the felt flowers and succulents popping up everywhere right now? I have to say, I love love love them! I decided I need some decor with felt flowers for my home. I figured I would break out my handy side kick, my Cricut, put some felt down and go to town cutting. Umm….no. This cutting felt with the Cricut thing is a bit trickier than I had anticipated. Just in case you have also been wanting to create some adorable felt goodies with your Cricut, I have put all of my research and tips I have learned into this handy dandy blog post. I mean, what kind of friend would I be if I kept all the good stuff to myself?! Can I cut felt on the Cricut Explore? Different Kinds of Felt: Which Felt is Best to cut with the Cricut? Can I Cut Felt on my Cricut Explore? Do I Have to Have the Cricut Maker to Cut Felt? First, let me say that YOU CAN cut felt with the Cricut Explore. Is it as easy as the Cricut Maker? No. There are some tips and tricks that will help make it work though. The Cricut Maker was designed to cut fabric and felt, so it is naturally much easier to cut felt with. It is fairly straight forward and doesn’t need some of the work arounds that cutting felt with the Cricut Explore needs. If you end up loving to cut felt and plan to do it a lot, it may be worth looking into upgrading to the Cricut Maker. If not, you can make it work on the Explore, I promise! Now that you know this is for you even if you have a Cricut Explore, let’s look at the different types of felt. There is a variety of felt available that ranges from cheaper/ lower quality all the way through more expensive/ premium quality. They can be broke down in three categories: acrylic felt, wool blend, and 100% wool. Acrylic felt is the cheapest felt available and can be found at craft stores. Acrylic felt is less dense and feels scratchier than other felts. When you hold it up to the light can see that there are thinner spots. Generally, this felt is fine for basic projects that won’t be handled much. It will start to fuzz and ball up if it is touched and messed with a lot. Craft felt is usually well under a dollar for a 9”x12” sheet. I have purchased craft felt from Michaels, JoAnns and Hobby Lobby. My favorite, and I believe the consensus of many other crafters, is that JoAnns has the best craft felt sheets. Premium craft felt is a step up from basic craft felt. I found this ‘premium’ craft felt at Michaels and JoAnns. The Michaels brand is called Creatology. They only carry premium in large 12”x18” sheets, not in the 12”x9” size. There are also significantly less colors to choose from. It is made from Ecofi polyester (made from 100% recycled plastic bottles). As you can see in the photo, the premium craft felt is thicker than the regular craft felt. JoAnn’s premium felt is EcoFi Plus Premium and is similar to the Michaels premium felt (although a tad bit better in my opinion). Stiffened felt has an additive that causes the felt to be slightly stiff instead of soft and pliable. It holds its shape well and the edges don’t stretch or fray. It can be found at all craft stores as well. If your project will work with a stiffer felt, it is much easier to cut, especially for Cricut Explore users who don’t have the advantage of the rotary blade. Cricut has created their own brand of felt. It comes in a 10 pack of 12”x12” sheets. It is designed to be cut without needing the deep cut blade, is medium weight, and is 1 mm thick. It feels slightly stiffened as well. It currently comes in three sampler packs: Spring Rain, Carousel, and Sky. First of all, I fully realize that polyester is not acrylic. I’m keeping it in the acrylic category however, because it is man made and has no wool in it. JoAnns carries “premium felt” that is sold on the bolt. It is 72” wide and is 100% polyester. Currently the price is $8.99 a yard. If you bought a 12” piece that is 72” wide you could get 8 9”x12” sheets from it and it would be approximately 37 cents a sheet. That is extremely close to the price of already cut craft felt. If you are up for cutting it down yourself, you would get a better quality felt for the same or better price (especially if you use a coupon). Wool blend felt is said to be stronger and more durable than non-wool felt. JoAnns also has wool blend that is sold on the bolt, however it is only 36” wide. They have one blend that is 20% wool and 80% rayon and is currently $9.99 a yard. If you bought a piece that was 9” wide you would get 3 9”x12” sheets from it at approximately 83 cents each. They also have one that is 35% wool and 65% rayon, and is currently $12.99 a yard. Using the same calculations as above, you would get 3 9”x12” sheets for $1.08 each. Benzie Design on Etsy sells 1 yard (a 36”x36” piece) is $10.50 (about 88 cents for a 9”x12” sheet). (She has a website here also). Plus, she has felt balls that I am just in love with! The highest quality (and most expensive!) felt you can get is 100% wool. If you have a project that is super special and the investment isn’t too much, Etsy seems to be a great place to buy 100% wool felt sheets. Crafty Wool Felt has 136 colors!!! 1 yard (a 36”x36” piece) is $35.00 (about $2.92 for a 9”x12” sheet). A 5”x36” roll is $5.85 and individual 8”x12” sheet is $3.25. Damask Love used their wool in her kids pretend play market. Too cute! Of course, there are lots of sellers on Etsy that sell 100% wool and their prices vary. I just thought this shop was worth mentioning as a reference point. What is the best felt to use when cutting felt with Cricut? In my opinion, the best option is blended wool felt. If I am taking the time to design and cut a project, I want it to be a quality product. Blended wool is strong, soft and durable without the hefty price tag of 100% wool. Cutting Felt with the Cricut Explore series (Cricut Explore, Explore One, Explore Air, and Explore Air 2) is different than with the Maker. The Explore doesn’t have the ability to apply as much pressure or to use a rotary blade. In theory, when you are ready to cut your design, you simply have to choose the kind of felt you have from the materials list (see picture below), load it up, and magically, it cuts perfectly. I wish it were true friends. Let me be the first to tell you that it doesn’t always work that way. The main issue is that the blade drags across the fibers trying to cut them. Unless the felt is stiffened, the fibers aren’t stable enough to be cut and they kind of just fuzz up. Cutting felt on the Explore will most likely be a big fail without first bonding the felt. The best way I have found to bond felt is with Heat N Bond. Heat N Bond has one side that is paper and one side of tiny dots of adhesive that are activated by heat. To apply the Heat N Bond, cut a piece a little bigger than the size of the design. Lay the Heat N Bond on the felt with the adhesive dots against the felt and the paper side up. Run the iron on medium heat (no steam) over the paper for several seconds. 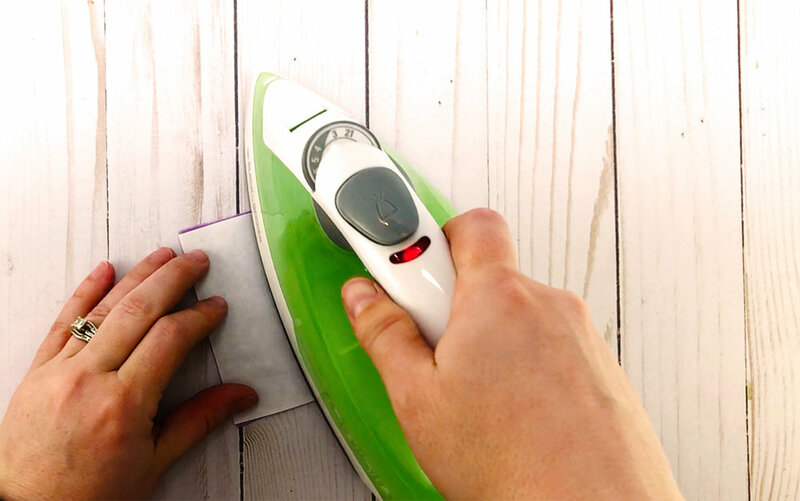 After ironing, peel the paper off of the felt. Place the felt on the cutting mat with the Heat N Bond against the mat. What cut settings do I use when I am ready to cut felt on the Cricut Explore? The Cricut Explore has three felt settings in the material settings. Notice that they all suggest the fine point blade. The ‘Felt’ setting is the lowest pressure and cuts twice. The ‘Felt, Wool Fabric’ has more pressure and cuts five times! The ‘Felt, Wool Bonded’ has just a tad more pressure but only cuts two times. The ‘felt’ setting works well with the Cricut brand felt and stiff felt. These are the only two that I have been able to cut well on the Explore without bonding the fabric. The rest of the kinds of felt I needed to ‘bond’ to get a clean cut. Wool/ wool blend (not bonded)- if you are unable to bond your wool or wool blend, you can get a cut using ‘felt, wool fabric’ setting. You may have to trim the edges a bit, but you could make it work. Cutting felt with the Cricut Maker is significantly easier than with the Cricut Explore. The option to use the rotary blade truly is a game changer. Since the blade rolls over the felt instead of dragging against it, the cuts are clean and crisp. What cut settings do I use when I am ready to cut felt on the Cricut Maker? Once you have a design ready to cut, click the ‘Make It’ button to send it to the mat screen. This is the screen where you will select your mat size. They do have an option for 9”x12”. It will shade a 9”x12” area on the preview mat which is helpful to move things around if you need to. Next, it will prompt you to select the material. Click the “Browse All Materials” in the right top corner. It will open a (long!) list of all the possible materials. Simply search for felt to have all of the felt options come up. There are seven kinds of felt preprogrammed in the materials settings. Each type has a different amount of pressure, suggested blade, and times it should cut. I have put each setting together in an image so you can see the difference in each type. The settings for “felt" are for the Cricut brand felt. (Notice the little Cricut logo out to the right side.) The only time I would use this setting is when you are actually using Cricut felt. It will prompt you to use the fine-point blade (or you can use the bonded fabric blade) and it will cut the design two times before prompting you to remove the mat. “Felt, Stiff” uses a little more pressure than the Cricut brand felt, only does a single cut, and also uses the fine point (or bonded fabric) blade. This would be for any stiff felt. “Felt, Craft Bonded” is for craft felt that has a bonding on the back, such as heat and bond. It suggests the bonded fabric blade and will cut two times. “Felt, Wool Bonded” is for any wool blend felt that is bonded on the back. It will prompt you to have in the fine point blade and will cut two times. Now, here is where the Maker really shines. Look at that image again with the pressure listed. The pressure jumps from 275 using the fine point blade to 1593-2214 with the rotary blade. That is a heck of a difference folks! Also notice that all of the felt using a lower pressure and the fine point blade are either stiff or bonded. It really needs something to stabilize the fibers as the blade drags across it. “Felt, Wool Fabric” Any wool blend or pure wool would use this setting. It will prompt you to use the rotary blade and will only cut the design once. “Felt, Acrylic Fabric” THIS is what you will use for basic craft felt. The rotary blade will cut through it like butter. It really is amazing. “Felt, Glitter Bonded” I have not used the setting myself, but it is important to note that it has the most pressure of all of the felt settings. If something isn’t quite cutting through, you can always try this selection since it has the most pressure. When cutting felt with the Cricut Maker, you will use either the fine point/bonded fabric blade or the rotary blade. When cutting felt with the Cricut Explore, you will choose between the finepoint/ bonded fabric blade and the deep cut blade. The pink mat was designed for fabric and is commonly used with felt. Cricut says that the pink fabric mats are stronger to withstand the extra pressure needed to cut fabric. For this reason, I always suggest the pink mat be used when using the Cricut Maker and the rotary blade since it applies so much more pressure. 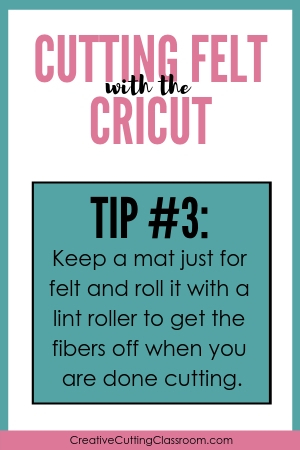 When cutting felt with the Cricut Explore or using the fine point/ bonded fabric blade settings, the pink fabric mat can be used but it isn’t necessary. I would stay away from the light grip mat, but the regular green mat or the purple strong grip mat should work well. Whichever mat you choose to use, make sure it is tacky enough to hold the felt in place. One little area not held down will ruin the entire cut. One thing that can be a little frustrating when trying to get the right setting is that there are so many variables that effect the outcome. Obviously, the first cut of your new blade will cut better than the thirtieth. A mat that is brand new will hold better than one used a dozen times. So, when one person says they used xyz setting and it worked perfectly, another person can say they used the same one and it didn’t. The good news is you can use the same setting and increase or decrease the pressure. If I know my blade is starting to not cut as crisply, or if I do a test cut and it almost cuts right, I will increase the pressure. Usually adding just that little bit of extra pressure takes care of any issues I am having. Once you have sent the design to the cutting mat to be cut and have selected your material, underneath there is a box that normally says ‘default’. Here is where you can use the drop down menu to select more or less. Purchase the bonded fabric blade or fine point blade and use it only for felt or fabric. Clean your blade often. Felt fibers will build up and keep the blade from cutting properly. Use the brayer or something similar to press the felt firmly onto the mat. We want all the fibers sticking down so there won’t be any pulling as it cuts. Have a mat just for felt. When you get felt fibers on it, roll it with a lint roller to get a good amount of the felt off. 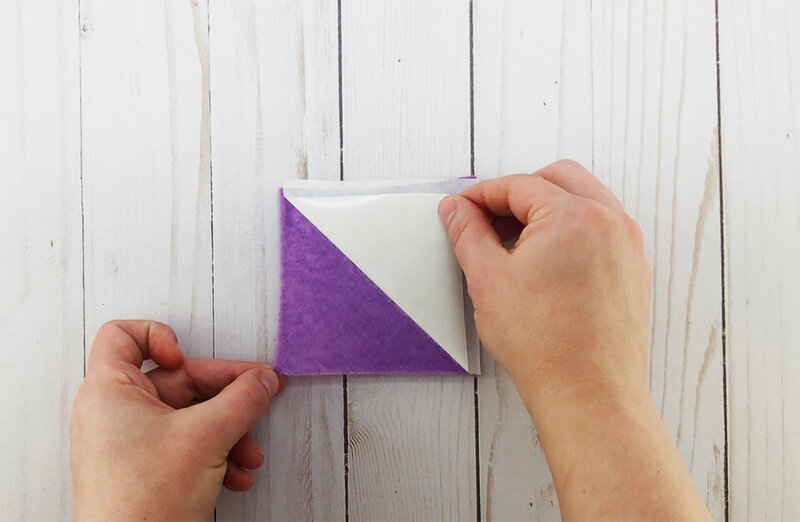 You can also protect your mat by laying down transfer tape sticky side up and placing the felt onto the transfer tape. When you are done just peel up the transfer tape and your mat is still clean! Now that you know that cutting felt with the Cricut Explore and Cricut Maker is possible, I hope you use all of your new found knowledge to make some awesome felt Cricut projects! If you make any felt projects with your Cricut, please share a photo in our Facebook group or email me at admin@CreativeCuttingClassroom.com. Grab your free Felt Cut Settings Cheat Sheet! Available for both the Cricut Maker and Cricut Explore. You will get access to the FREE Resource Library where I keep all of my cut & SVG files and tutorials, as well as our newsletters with Cricut goodies and deals. No spam. Pinkie promise. Unsubscribe anytime.